Thinking of buying a new camera soon? Have it whittled down to a few choices but can't quite make up your mind? 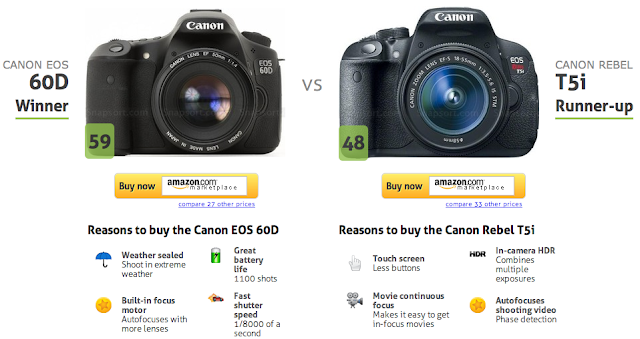 Naturally, it doesn't hurt to read reviews of the cameras you're considering, but I also like to run the cameras through a few of these comparison tools, which give you a feature-for-feature idea of which camera is better suited to your needs. SnapSort - This site allows you to compare the features of two cameras side by side and determine a "winner" based on points accrued from various features. It will give you each camera's strengths, and tell you which is better and by how much on just about every feature from size, weight, autofocus, ISO performance, build, price, and a lot more. 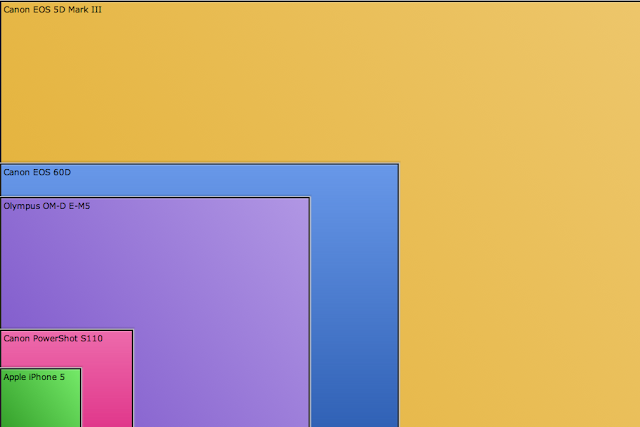 Camera Image Sensor - This tool lets you compare two or more cameras' sensor sizes either side by side, stacked (as shown above), or 3D. This tool is great for learning about standard sensor sizes, but as far as buying a camera goes, I think it's best suited to compact cameras. Mirrorless and DSLR cameras don't vary so much in sensor size (either 4/3, APS-C, or 35mm generally), but compact and mobile phone cameras have a lot more variety in sensor size. By the way, in case you didn't realize, the sensor size representations are much larger than the actual size of the sensor. 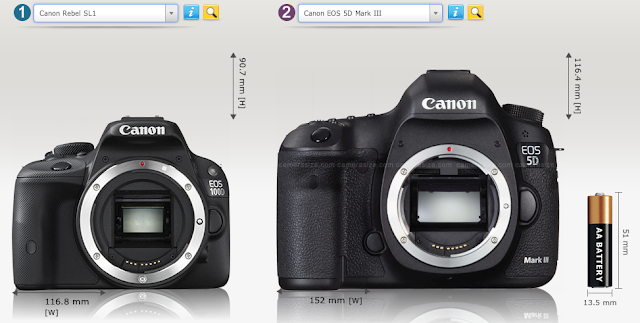 Camera Size - This is a great tool for comparing cameras side by side. You can only compare two cameras at a time, but you can view them from several different angles. A stacked option would definitely be a nice addition. Just be aware that the cameras are smaller on the screen than they are in real life. Just use the picture of the battery as a reference. I usually zoom in until the battery is life-size to get a better idea of the real size. 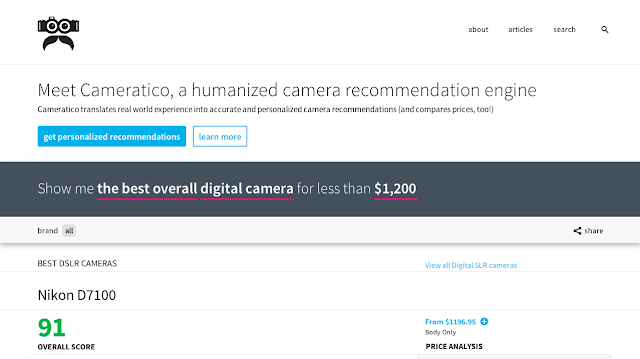 Cameratico - This site is good when you're not sure to start. Answer a short survey about your photographic needs, and the site will give you a list of compatible results, and assign points based on ease of use, features, build quality, and other factors. It even tells you if now's a good time to buy it. 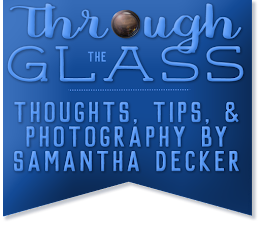 If you know what you want in a camera but have no brands or models in mind, I think you'll find this helpful.